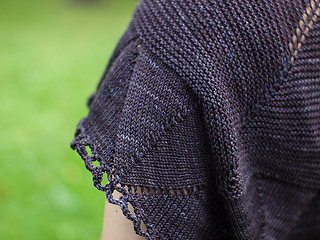 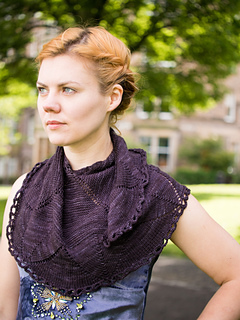 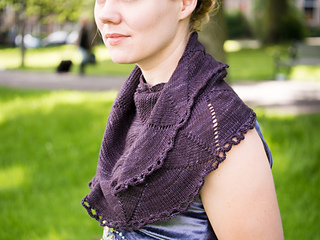 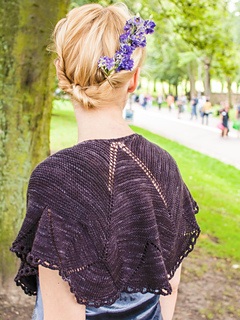 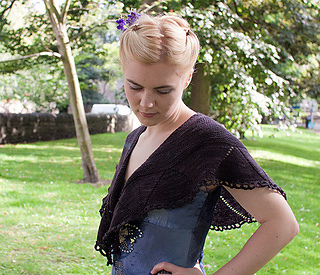 Damson is a pretty, simple little shawl, requiring just one skein of sock yarn, that’s fun to knit and easy to wear. 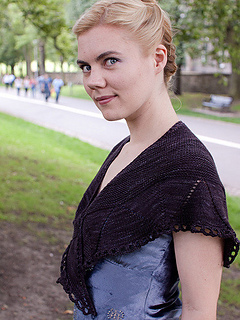 Working two columns of paired yarn over increases that radiate from the centre neck cast on creates a curved shape that drapes perfectly around your shoulders. 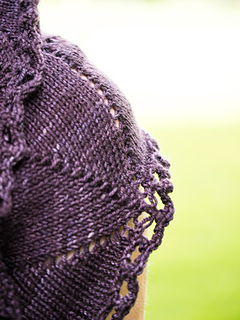 Increasing at the edges on both right and wrong side rows creates long points that also make Damson perfect to wear as a scarf. 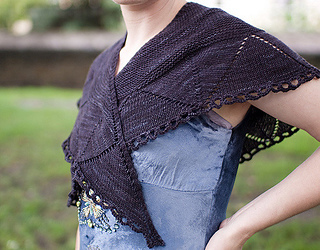 The large scale of the lace creates a dramatic scalloped edge, finished with a deceptively simple looped edging. 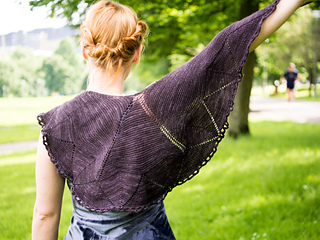 The pattern includes both written and charted directions.